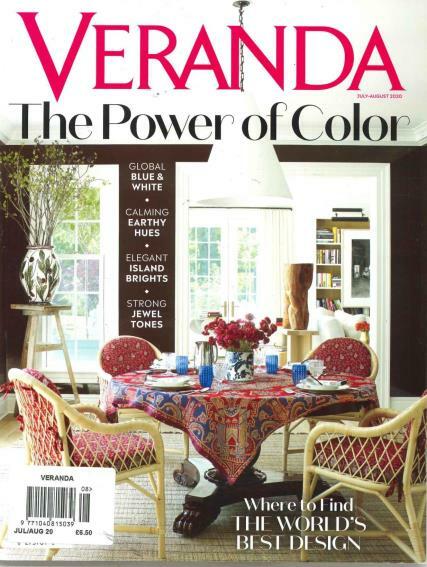 Read Veranda magazine to get all the best in design, luxury, food and travel. Love of the home is intrinsic to the readers of this magazine and they are most discriminating in their appreciation of quality decoration, fine art, lush gardens and elegant entertaining. It is beautifully published with each page in high gloss and showcasing stunning photography. If you are looking for inspiration on how to decorate your home, look no further and purchase Veranda. It celebrates the singular spirit of the home through its pursuit of innovative designs, showcasing the best creative collaborations across America and the rest of the world. Read about must-haves and one offs in living well, decorating and architecture. This magazine is a forum for the very best in living and even offers it reader’s information on luxury travel. If you would like to read more about the fabulous world of interiors, then read Veranda as it is packed full of decorating ideas from the rich and famous.